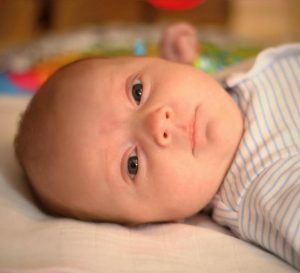 There are many considerations when providing the best care for your baby. We think constantly of how we can help our babies learn, grow, and explore. From what toys to play with, or just how to get out of the house some days. Possibly one of the most important factors in your baby’s life something you use almost every day-their car seat. 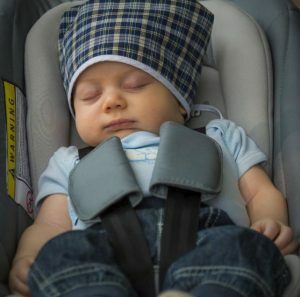 There has been much discussion lately about what is the best way to keep a baby safe in the car. Milestone Therapy decided to do some research into what is the safest way to position your baby in a car seat. Below you will find answers to some frequently asked questions regarding car seat safety. Q: How long should baby stay rear facing? A: As long as possible! 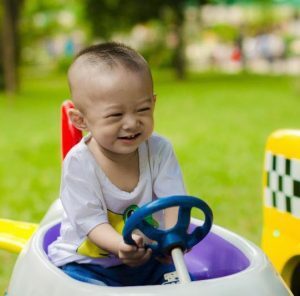 According to the American Academy of Pediatrics, infants and toddlers should ride in a rear-facing seat until they are at least two years of age or, preferably, until they reach the highest weight and/or height allowed by their car seat manufacturer. Furthermore, one study found that children under the age of two years old are 75% less likely to sustain serious or fatal injuries when they are in a rear facing seat. This is regardless of direction of crash. Also, don’t worry if your baby’s legs are getting a little too long, it is perfectly safe to have them folded at the base of the car seat. It is rare for a baby to sustain injury to the legs in the event of a crash. This video demonstrates why it is important to keep your baby rear facing as long as possible. Rear facing allows for support to the neck and spine which forward facing does not. Q: How Do I know what kind of car seat to buy? A: There’s an App for that! But it costs money…so just go to this website for free. You can put in your baby’s age, height, and weight and you will be presented with the different types of car seats that may benefit your child. From there you can compare until you reach your decision. Q: How do I know if my seat is installed correctly? A: Find a certified agency to check the fit and installation. Usually any local fire station can assist you with ensuring the right fit. You can also go to this website and put in your location to find certified agencies near you. It’s also a good idea for expecting parents to install car seats and have them checked right before baby’s arrival. It is not uncommon for a car seat to be installed incorrectly after baby’s arrival just because of time restraints and overall excitement of such a big life event! Q: Is it safe to have a used car seat? A: Yes, but only if you absolutely need to, and there are some rules you should follow. According to the American Academy of Pediatrics, you should not use a car seat that is more than ten years old. If you do purchase a used car seat, make sure it has a manufacturer’s label on it. Do not use a car seat that is over 10 years old. Always buy a seat that has a manufacturer’s label, otherwise you can’t check for recalls and user manuals. Don’t buy a used car seat with cracks in the frame. It may have been damaged in a crash. Don’t use a car seat with missing parts. Q: What if the straps don’t fit after putting on a winter jacket? A: Put coats and jackets on OVER straps and buckles. Putting jackets on underneath buckles and straps is unsafe because it can cause slippage, and then your child is no longer secure in their seat. Read more here. Now that you’ve got safety covered, let’s look at the fun stuff – toys! Check out one of our latest blogs all about TOYS!